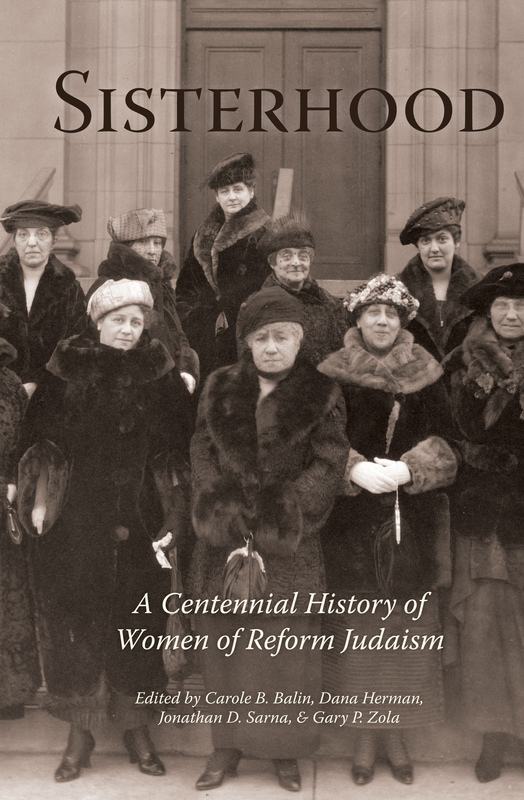 Women of Reform Judaism, in cooperation with The Jacob Rader Marcus Center of the American Jewish Archives and Hebrew Union College Press, will mark its centennial anniversary with the publication in December 2013 of Sisterhood: A Centennial History of Reform Judaism. This collection of new scholarly essays looks back at its history in order to understand how the hopes and dreams of its founders have come to fruition. Eighteen scholars contributed essays on the spectrum of Women of Reform Judaism’s activities, including their funding of Hebrew Union College during the Great Depression, their support for Jewish education through production of a substantial women’s Torah commentary designed to edify lay people as well as scholars and clergy, their promotion of Jewish foodways and art through publication of cookbooks and support of synagogue gift shops, their invention of the Uniongram as a formidable fundraising tool on a par with the Girl Scout cookie, and their efforts to safeguard Jewish continuity through support of youth activities (NFTY). Scholars, clergy, and laypeople interested in the history of American Jewish life and the distinctive place of women in American religious history will benefit from the rich insights and perspectives in these essays. Click here for full description, table of contents, and purchasing information.